The Gift Shop is located on the ground floor of the Japanese Cultural Center of Hawai'i. We offer an eclectic array of vintage items, antiques, and collectibles including kimono, ceramics, lacquer ware, and classical Japanese dolls. We also have books and DVDs about the Japanese American experience in Hawai‘i. JCCH members receive a 10% discount on purchases. All purchases of $10 or more will earn a two hour complimentary parking validation. Call (808) 945-7633 Ext. 43 for more information. 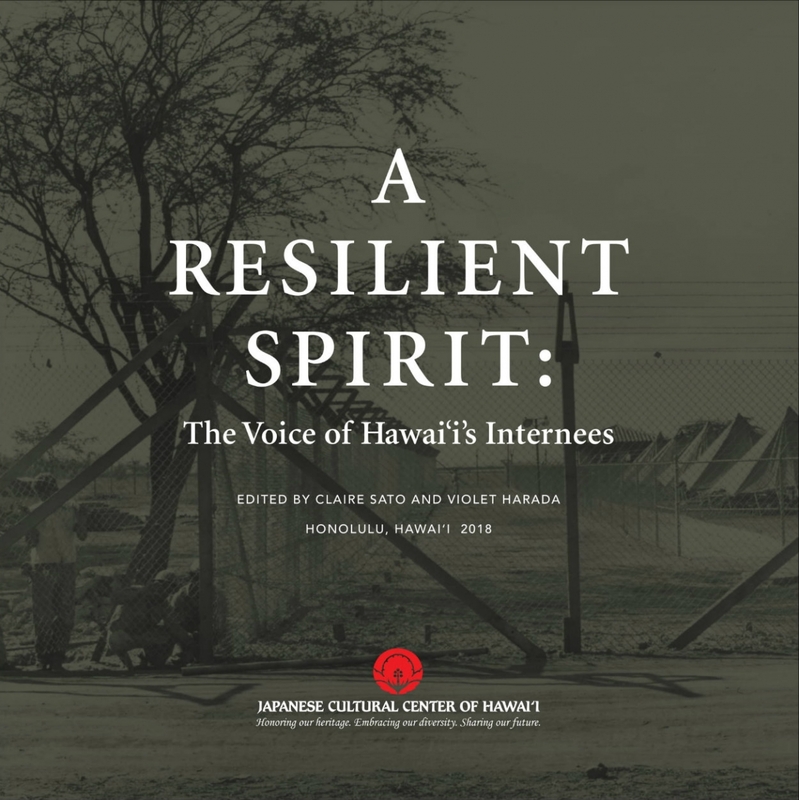 A Resilient Spirit: The Voice of Hawai'i's Internees, compiled by Claire Sato and Violet Harada, presents the Japanese American wartime history through the voice of “those who lived it.” Culling through the JCCH’s archives of oral histories, poetry, memoirs, historical photos and documents, Resilient Spirit makes history come alive. It honors the memory of all Japanese Americans incarcerated during World War II, their voice is a testament to courage and a reminder that such an injustice should never happen again. 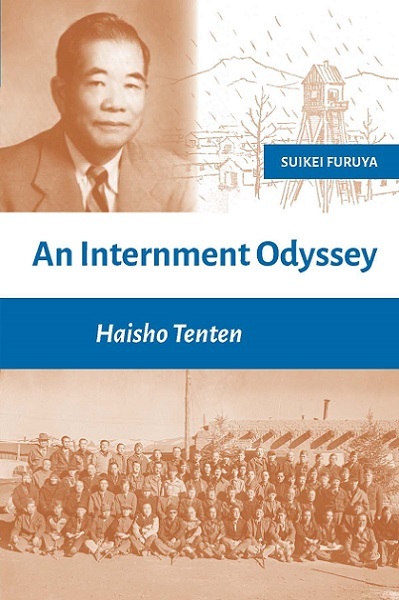 An Internment Odyssey; Haisho Tenten; Tatsumi Hayashi, translator; Sheila Chun, Karleen Chinen, Joe Udell, editors. This translation of a memoir by Honolulu businessman and poet Suikei Furuya was first published in Japanese and tells the first-hand story of Furuya's sudden incarceration after the Japanese attack on Pearl Harbor. He was torn from his family and sent on an arduous journey of imprisonment and emotional humiliation in harsh environmental conditions across seven states on the continental United States. Now, for the first time after fifty years, readers of English are able to share in Furuya's experience of spiritual and physical struggle in An Internment Odyssey. Through his poet's eye, he captures on page eleven thousand miles of an immigrant life turned upside-down and creates an important contribution to literature about race, ethnicity, and American identity. Shipping rates included on order form. Approx. 57 minutes. English and Japanese with English subtitles. Following a world premier at the Hawaii International Film Festival (HIFF) and sold-out screenings across the state, The Untold Story: Internment of Japanese Americans in Hawai‘i is now available on DVD. 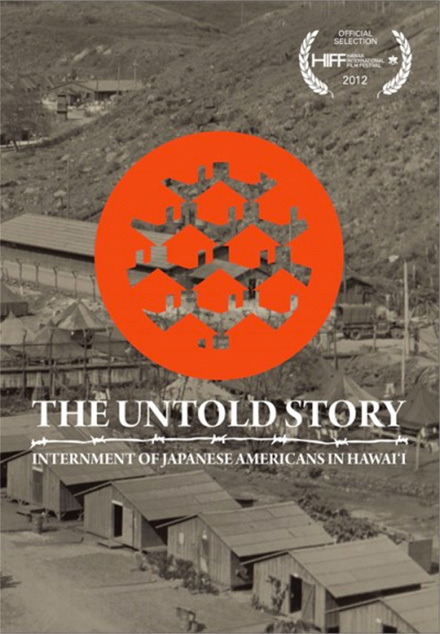 Produced by the Japanese Cultural Center of Hawai‘i, The Untold Story is the first full-length documentary to chronicle the internment experience of Japanese Americans in Hawai‘i. While the story of mass internment of Japanese Americans in California, Oregon and Washington has been well documented, very little is known about the internees and confinements sites in Hawai‘i. This project was funded, in part, by a grant from the Department of the Interior, National Park Service, Japanese American Confinement Sites Grant Program. Additional support was provided by the Japanese Cultural Center of Hawai‘i, Island Insurance Foundation, The Wallace Alexander Gerbode Foundation, and the Japanese American Citizens League - Honolulu Chapter. 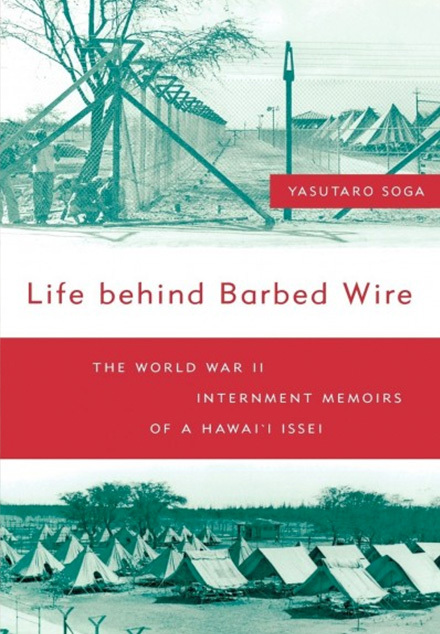 Yasutaro Soga’s Life behind Barbed Wire (Tessaku seikatsu) is an exceptional firsthand account of the incarceration of a Hawai‘i Japanese during World War II. On the evening of the attack on Pearl Harbor, Soga, the editor of a Japanese-language newspaper, was arrested along with several hundred other prominent Issei ( Japanese immigrants) in Hawai‘i. After being held for six months on Sand Island, Soga was transferred to an Army camp in Lordsburg, New Mexico, and later to a Justice Department camp in Santa Fe. He would spend just under four years in custody before returning to Hawai‘i in the months following the end of the war. Most of what has been written about the detention of Japanese Americans focuses on the Nisei experience of mass internment on the West Coast—largely because of the language barrier immigrant writers faced. This translation, therefore, presents us with a rare Issei voice on internment, and Soga’s opinions challenge many commonly held assumptions about Japanese Americans during the war regarding race relations, patriotism, and loyalty. Although centered on one man’s experience, Life behind Barbed Wire benefits greatly from Soga’s trained eye and instincts as a professional journalist, which allowed him to paint a larger picture of those extraordinary times and his place in them. The Introduction by Tetsuden Kashima of the University of Washington and Foreword by Dennis Ogawa of the University of Hawai‘i provide context for Soga’s recollections based on the most current scholarship on the Japanese American internment. Family Torn Apart is the gripping story of one Hawai‘i family’s World War II odyssey. Otokichi Ozaki, a Japanese immigrant, was a Japanese language school teacher, tankapoet, and anthurium grower and also a leader of the Japanese community in the city of Hilo on the Big Island of Hawai‘i. A devoted family man, he and his Hawai‘i-born wife, Hideko, had four children ranging in age from two to eight when war broke out. After the Japanese attack on Pearl Harbor, he was one of several hundred immigrant community leaders to be arrested, beginning a long journey for Ozaki and his family. Based on letters, poetry, and radio scripts in the collection of the Japanese Cultural Center of Hawai‘i, and translated here for the first time, Family Torn Apart traces Ozaki’s incarceration at eight different detention camps, his family’s life in Hawai‘i without him, their decision to ‘voluntarily’ enter Mainland detention camps in the hope of reuniting, and their subsequent frustration as that reunion bogged down in red tape and government apathy. 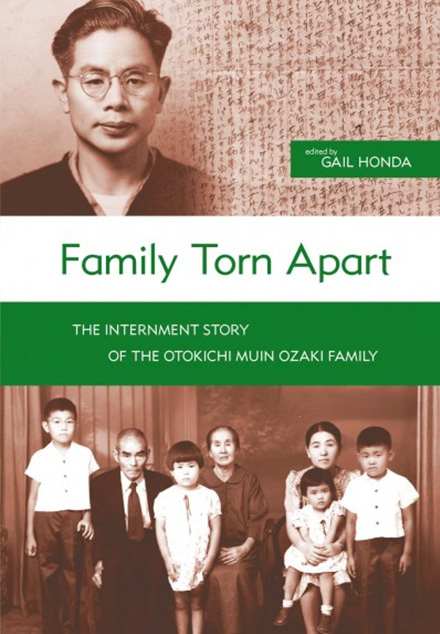 Relying on Japanese language primary sources, Family Torn Apart brings alive the Japanese immigrant perspective on the World War II incarceration, intergenerational relations, and life under martial law in Hawai‘i. It is a stirring story of the human spirit in difficult times and a cautionary tale for future generations. 36 illustrations.